Credo Systemz’ PRINCE2 Training is designed to help aspiring professionals to understand and implement this project management framework across any project environment. Projects In a Controlled environment (PRINCE2) Foundation is a methodology used in Project Management to improve Project management skills. Recognized as the Top ranked PRINCE2 Training and Certification institute in Chennai, we provide insights on the practice-driven approach to project management, detailing the key processes of project lifecycle. The Prince2 Training at Credo Systemz,has well-designed syllabi, to cater the candidates irrespective of the industry, size of the project or even the processes already used in the project execution. At Credo Systemz being ranked the No.1 Training institute for PRINCE2 Training in Chennai, we provide in-depth course briefing to the candidates inorderto understand the PRINCE2 processes and methodologies, which is one of the most widely used project management method globally. Best suitable across any type of project, including Agile, it provides a detailed step-by-side and detailed method for delivering a successful project, differentiating project and operations. With uniquely designed course plan, the candidate would undergo training sessions with expert trainer using real-time project scenarios. Hands-on practical assignmentsat every training session. Free Placement & Career Assistance – Enhance your career aspirations with assistance on latest PRINCE2 job opening updates through Whatsapp or Email, staying connected with our alumni network and recruitment partners. Free CertificationGuidance - Credo Systemz is the Authorized Pearson VUE exam centre.Guidance provided to candidates to complete the PRINCE2 certifications available. Earn a Completion Certificate in PRINCE2 from Credo Systemz at the end of your training completion. Detailed instructor led sessions to help you become a proficient Expert in Prince2. Build a Prince2 professional portfolio by working on hands on assignments and projects. Lifetime access to downloadable Prince2 course materials, interview questions and project resources. 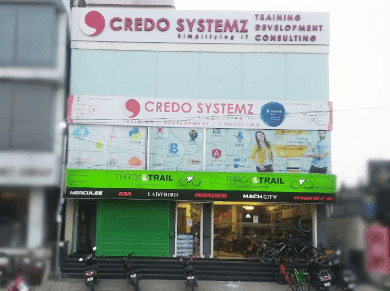 Credo Systemz ranked as the No.1 PRINCE2 Training institute in Chennai, and have successfully trained 15000+ IT professionals. Detailed Course Plan to help both Fresher & Experienced Professionals, as per the latest PRINCE2 framework updates. Skilled & expert trainers with 15+ years of IT industry experience, withreal-timePRINCE2 framework implementation projects knowledge. Complete Hands-on PRINCE2 training in Chennai with 100% Placement Assistance. Professional teams to assist with Career guidance, Interview preparation, Mock Interviews, Placement Counselling, Certification Assistance, Resume writing and Job updates. Ranked as Best PRINCE2 Training Institute in Chennai providing best PRINCE2training in the city with nominal PRINCE2course fees. Attend the free demo today for free !! We Owe YOU Knowledge, 100% REFUND if YOU are NOT Satisfied. If YOU get satisfied then grace yourself to be one of the finest PRINCE2 experts in the industry. What pre-requisites required to learn to PRINCE2 Training ? What are the PRINCE2 certifications available and how will Credo Systemz help you? 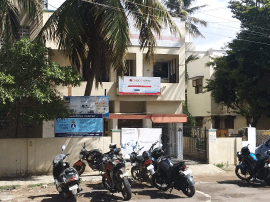 High range of job opportunities for Certified Ethical Hacker. After earning a Certified Ethical Hacker you can go to become an forensic analyst and intrusion analyst. To Become a better Software Programmer. What is the course duration for PRINCE2 Training? Fast Track (1-1 :PRINCE2 Training crash course in Chennai): 15 days. Why choose Credo Systemz for PRINCE2 Training in Chennai? Assessments - Our training pattern includes conducting frequent assessments to understand your technical competence& brief your areas of improvement, during the tenure of the course. Mock Interviews -At the end of the course, a team of highly qualified real-time IT technical experts from the industry assess your knowledge on the language, by conducting interviews, and share the feedback so you can crack the interview with confidence & at ease. What are the various modes of training Credo Systemz offer ?